Do you think that video or online games have no place in the classroom? If you answered no to that question, then you probably haven't seen Richard Byrne's list of 77 educational games. Games can actually play a crucial role in the educational process. They get children engaged and interested in the material, and they can serve as a catalyst to the learning process. In his list of 77 educational games, Byrne runs through a series of the best free games that are available to educators and parents to get students motivated and interested in various topics. For example, the website Kids Spell turns learning to spell from a chore into a fun and exciting activity through the use of eight free games. Another similar spelling site is Spelling City. Byrne also lists several websites that use crossword puzzle games to promote increased vocabulary, such as Read, Write, Think, Just Crosswords or Ed Helper. There are also math games available, such as those you'll find at Multipication.com, Math Cats and Decimal Squares. If you're looking for some non-standard games that will really capture the imaginations of your students, then you have to check out some of the other free games mentioned by Byrne, such as the interactive site of the Shedd Aquarium, the forensic adventures offered at CSI Web Adventures, or the games at the World Food Programme website. Research has shown that playing high-quality, well-made educational games can actually help students improve their understanding of some of the most complex subject matter, and it can also keep them interested and active in the learning process. Check out the long list of free games listed by Byrne at Free Technology for Teachers. You're sure to find something that can enhance the classroom experience for your students and get them more excited about learning. 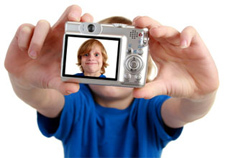 Find the best websites and free software where kids can edit, modify and have fun with digital photographs.